Cheese: we love it between bread, melted over a bubbling hob and simply crumbled on crackers to be paired with a fine drop of wine. The loudest cheese of them all – that squeaker halloumi – can often be forgotten on the average cheeseboard, but this versatile cheese can make its home fresh or fried on plates of all kinds, especially when paired with chicken marinated in a flavourtastic mix of spices. 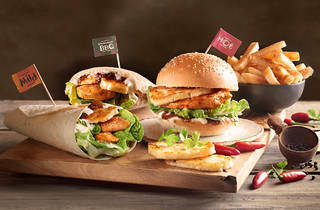 This winter at Nando's, you can find the semi-hard dairy delight in a new burger, wrap and pita they have aptly named The Halloumi. 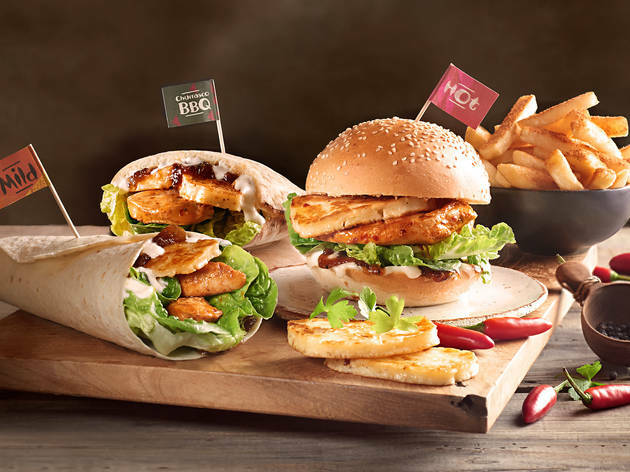 We’re drooling louder than a Homer Simpson meme just thinking about the killer combination of PERi-PERi chicken, grilled halloumi, caramelised onion relish, creamy aioli and fresh cos lettuce. The Halloumi comes with any of Nando’s regular sides for only 12 bucks, so you can feast on a garden salad, coleslaw, spicy rice, garlic bread, corn on the cob or Nando’s famous PERi-PERi chips twice over and still not break the bank. The Halloumi is available in restaurants nationally but get in quick – the delicious combo is only available June 26 to July 22. Just make sure you pack tissues for the inevitable tears of joy and get down to Nando’s, the home of PERi-PERi chicken – and now, halloumi too.